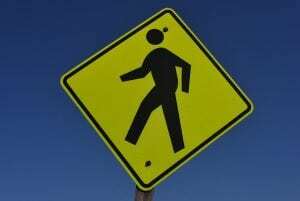 Rochester, NY (April 5, 2019) – A man from Pittsford was struck by a vehicle on Friday afternoon, April 5th, resulting in life-threatening injuries, according to authorities. The incident was reported to have occurred at or near the intersection of Lake Avenue and West Ridge Road at approximately 3:00 p.m. The Rochester Police Department was immediately summoned to the aforementioned location due to a pedestrian who had been struck by a motor vehicle. According to police, an unidentified 26-year-old man had been in the street when a vehicle that had been traveling west along West Ridge Road struck him for reasons that have not been confirmed. Emergency medical crews accompanied police at the scene where they quickly transported the seriously injured victim to Strong Memorial Hospital for treatment. While the injured party was reported to have been conscious and breathing before admittance, he has been listed in serious condition at this time. An investigation into the incident is ongoing. Our most genuinely sincere sympathies are wholeheartedly extended to the victim, first and foremost, as we maintain hope for his full recovery. Pedestrian accidents in New York are often injurious or fatal, particularly because there is zero protection between a vehicle and a pedestrian at the time of impact. At this time, it is essential for the victim to realize that they may have very serious rights regarding compensation for their injuries. Our New York accident attorneys at Hach & Rose have committed their lives to those who have suffered due to the actions of a negligent party or other irresponsible entity. We understand that there is nearly nothing as challenging as recovering from a sudden injury, and we are here for you 24/7 to answer any questions you may have. If you have suffered injuries in a New York pedestrian accident due to no fault of your own, please do not hesitate to call 212-779-0057 today.